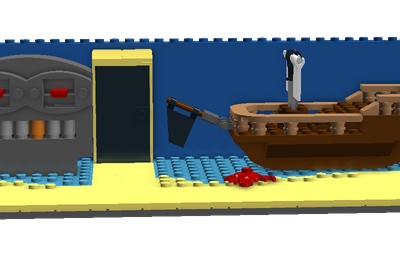 Some inspiration came from the piratland in Legoland Billund, Denmark, for instance the pirate in his cell. 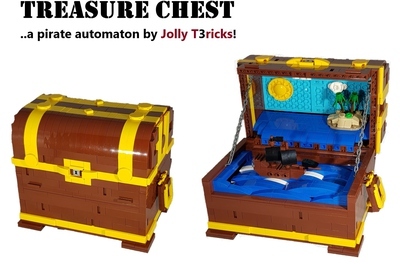 I think this will make a great lego set, because of the size and the details on the island, it is bigger than a normal lego-pirat set, and there for it is appealing to both children and adult fans of lego. 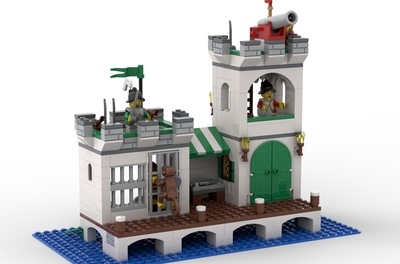 The roof can be removed (as we know it from the modular houses) and the details inside can be seen and played with, from the inside there are access to the cell where the pirate is kept prisoner. 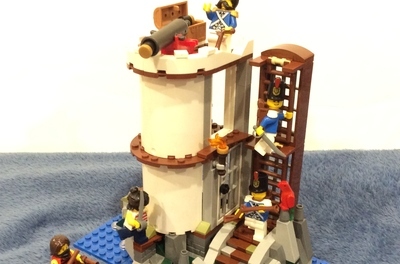 There are some animals included in the set, a parrot, a spider and a crab on the beach outside the prison cell, these make the island come alive, and can be played with. 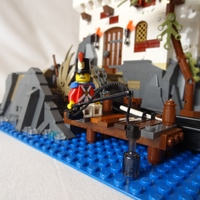 Vote for the “Soldiers Outpost” so we can bring back some pirates in the world of lego.